SilverSneakers is a community fitness program designed specifically for seniors. The program gives members free access to standard gym or fitness centers as well as access to Silver Sneakers classes designed for all fitness levels taught by certified SilverSneakers instructors. It partners with more than 14,000 participating gyms and fitness centers nationwide including 68 in the Las Vegas area. 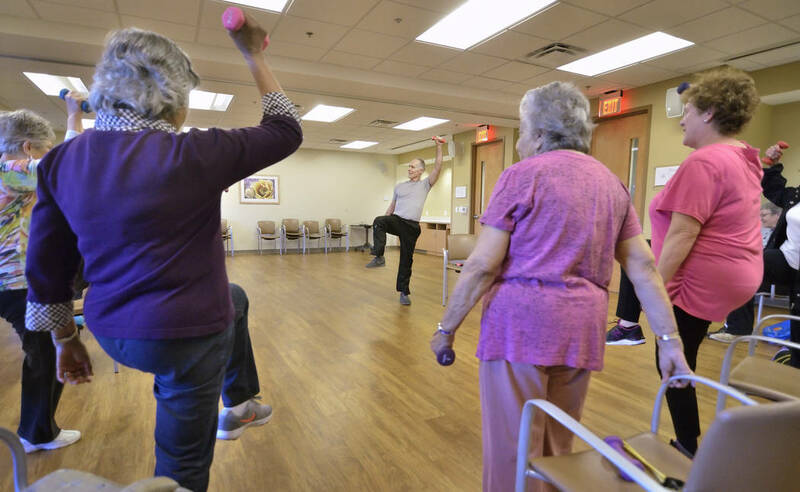 “Over the past 25 years, SilverSneakers has changed thousands of lives, helping people gain better control of their health and well-being through fitness,” said Sims Corbett, national fitness trainer with SilverSneakers. “SilverSneakers is also so much more than an exercise program, the classes create a strong community and friendships that extend beyond the gym. In fact, our 2016 Annual Participant Survey revealed that 65 percent of members have made new and valuable friendships through the program. SilverSneakers offers a variety of classes including circuit training, CardioFit, yoga, Splash and Stability. It also offers BOOM, a new fitness series that offers fast-paced higher intensity group exercise classes including BOOM Move It, BOOM Muscle and BOOM Mind. According to Corbett, more than 14.5 million people are eligible for the SilverSneaker benefit at no additional cost through their Medicare Advantage, Medicare Supplement and group retiree plans.